For purposes of a meeting this room can seat about 30 people comfortably and is used widely for this purpose. The photo shows a Bridge Class in session where it can have up to six tables. It is also uses by Men’s Club for both Darts, Table Tennis and Board Games, and by the Irish Dancing Classes (along with the adjacent upstairs lounge. 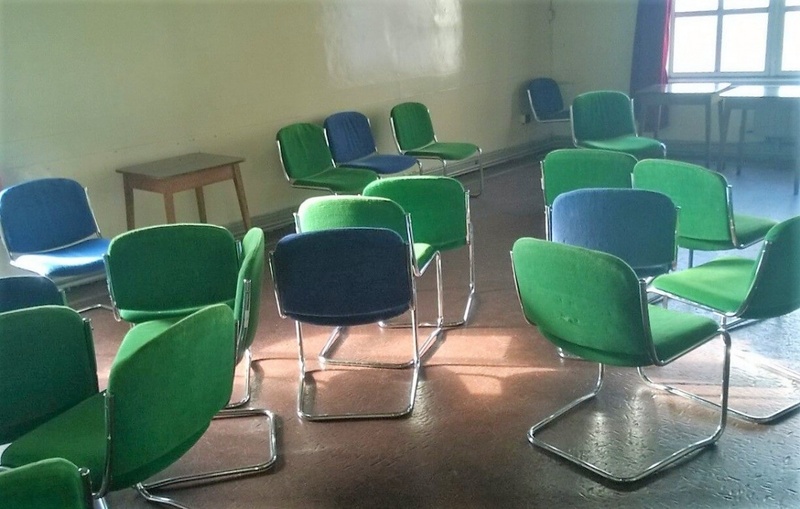 It is ideal for classes, rehearsals, discussion groups and community group meetings.